Dramatic, idyllic setting for this large, single level custom home on 5 gentle acres. In excellent condition, you'll appreciate the terrific kitchen with cabinets and storage galore, skylight above an inviting dining/family area. The giant master bedroom affords extra room for a sitting area, while there is also a den/office, besides the other 3 large bedrooms. Wait til you see, or fish, the awesome year round pond with deeded spring water. The frogs, turtles and fish enjoy it-you will too. Aside from the heated large double car garage, there is also a remote 1200 square foot garage that could be converted to a granny flat or RV spot. 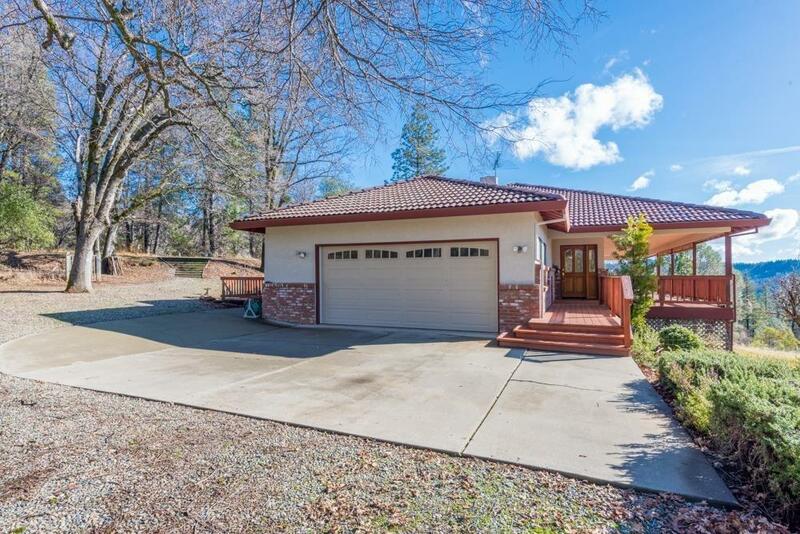 It's all here for you, complete with end of the road privacy in a delightful neighborhood, Placerville close. The huge deck looks to beautiful views that invite entertaining, relaxation or kick back seclusion.